This post is sponsored by Uncommon Goods. All opinions are 100% my own. Does your office do a Secret Santa or White Elephant gift exchange? Sometimes that can get so weird, especially if you don't know the person very well! And how much money should you spend? I always tend to gift food, but what if they have allergies? My office is almost all women, and we are very opinionated! Honestly, I really don't like shopping in person during the holiday season. This year I ordered almost EVERYTHING online. With such great customer service, and promo codes galore, it was so easy! 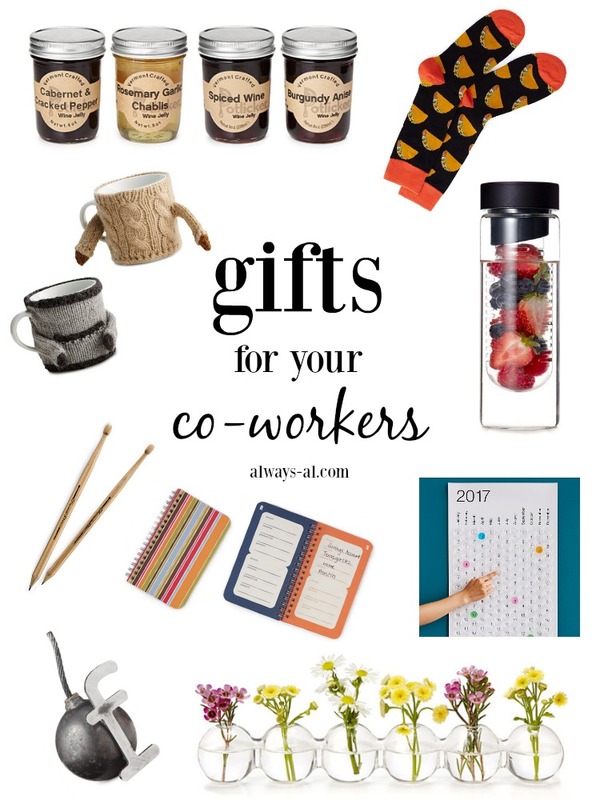 Luckily, at Uncommon Goods there is a huge selection of Christmas gifts for all the people in your life--including your office mates! Can you EVEN with those mug cozies? They might be the cutest thing ever. And someone, please buy me that bubble wrap calendar. Who doesn't like to play with bubble wrap?! Uncommon Goods is a privately owned, American company that specializes in selling unique items online. Most items are made in the USA, and a large number of their items incorporate recycled or upcycled items. AND the company gives back to charity. Saving the world one cute gift at a time. If you are like me, and struggle to find gifts that the choosy people in your life would enjoy, head over to Uncommon Goods. Right now I'm looking at some of these things for my mom and grandmothers. I come from a long line of strong, opinionated women!